Can You Attract Resources without Spending Money? Learn how to Unlock the Power of Your Networks on this podcast as guest expert Naava Frank is interviewed by David Shriner-Cahn. Having a network weaver is a very powerful and cost-effective long-term strategy that can have a major impact on your organization. Having been a network weaver and coached network weavers for almost two decades, I have seen many organizations succeed and a fair number fail. You may be asking: Where and how should I get started? What kind of investments do we need to make? What are best practices for success? Below is a free assessment tool that can help you make the important strategic decisions about how to get started or move your network to the next level. If you facilitate an online professional community or group, this strategy can help you increase the engagement, trust, and sharing of your group by allowing members to get to know each other. Utilize a “Work Out Loud” prompt. 2. In advance of posting, find a few people who will agree to respond to your prompt — this sets an example and encourages others to participate. Repeat periodically, perhaps weekly or on whatever schedule works best for the group. Follow-up and ask someone, privately or publicly, about how a particular project is progressing. If you would like to learn more about Working Out Loud, below is a link to a short article from the Community Roundtable, an organization I am affiliated with. Note: There is a lot more to learn about this method, this blog post is just a start. Reflecting on the long-term power of networks. Today I have been learning about chatbots https://tinyurl.com/yccq2rcc from my colleague Joitske Hulsebosch. I met Joitske well over a decade ago when we both took a CP Square course with John Smith https://www.linkedin.com/in/smithjd8/ and Etienne Wenger and have been following each other on linked in etc. this article ARE ALL CONVERSATIONAL USER EXPERIENCES EQUAL? https://tinyurl.com/y9dhpfg8 claiming that ” A well selected chatbot has the ability to increase user engagement and satisfaction, boost sales, accelerate brand awareness, and take a company to the next level.” It seems that it is going to be increasingly hard to tell when we are speaking with a person versus a chatbot. If chatbots can produce personalized engagement – what does that mean for us as community managers? Do they have any role in community? What about producing connections like me and Joitske? What are your thoughts? From the Jim Joseph Foundation Website. Naava Frank, Ed.D. is Founder and Director of Naava Frank, LLC. Naava consults to foundations and non-profit organizations on networks, professional development, and using data to be proactive and measure outcomes. Naava is a nationally recognized expert in the use of communities of practice and networks in the Jewish community. Naava holds an Ed.D. from Harvard Graduate School of Education and a B.A. from Barnard College/Columbia University. Laura Shefter is an Ed.D. candidate at the William Davidson School of Education at the Jewish Theological Seminary where she studies professional identity and professional development. She focuses on experiential education and has a background in Hillel work. Recently, Laura served as a coach for summer camp inclusion professionals who were doing action research. Laura has a B.A. from the University of Toronto, where she is originally from. The Experiential Jewish Education Network, funded by the Jim Joseph Foundation, currently serves the 200+ graduates of the four experiential Jewish education connected programs launched under the Jim Joseph Foundation Education Initiative at Hebrew Union College-Jewish Institute of Religion, The Davidson School of the Jewish Theological Seminary and Yeshiva University. The Experiential Jewish Education Network strengthens the professional knowledge, skills, connections and leadership capability of experiential Jewish educators, increasing success, innovation, collaboration and engagement in the Jewish community. Thank you to our Advisory Committee: Dr. David Bryfman, Deborah Grayson Riegel, and Rella Kaplowitz for their feedback, guidance, and support. Thank you to Pearl Beck for being a project mentor. Our appreciation to Mark Young and Dr. Jeffrey Kress of The Jewish Theological Seminary for their encouragement and expertise. Our gratitude to the Jewish Evaluation Network of UJA Federation of New York. I had the pleasure and honor to attend the Pardes Center for Jewish Educators – Teaching Tanakh in Jewish Day Schools Conference on Nov 13-15, 2016 atPearlstone Retreat Center. I was asked to facilitate a 3-part collaboration track for teachers of Tanach. Our goal was to explore how collaboration with colleagues could improve the teaching and learning of Tanach in Jewish day schools. Deep, rich and ongoing back and forth exchange of ideas. Includes the possibility that you will be changed by it. How can you take your collaboration to the next level? What will it take to create a shared culture within your institution to enable effective collaboration? Are there tools that can be helpful? What role can collaboration play in achieving your own professional goals once you leave the conference? In preparing for the event I was inspired by an article I read in the Hayidion Fall, 2016 issue, devoted to the subject of collaboration. The article titled “Dialogue Across Difference: The Power of Collaboration When Colleagues Disagree” by Lauren Applebaum and Sivan Zakai advocates for the benefits of collaboration between professionals who do not necessarily have shared perspectives. Applebaum and Zakai use the metaphor of a mirror to describe the outcomes of collaboration with like-minded colleagues and a microscope to describe the outcomes of collaboration with diverse colleague. We are naturally drawn to colleagues who are like us. Collaborating with a colleague with whom you share perspectives and values is both useful and important and provides a mirror to see your work more clearly. For example, you may both be committed to supporting students’ development of textual skills and can share and compare assessments and student outcomes. However, Applebaum and Zakai point out that there are many assumptions not tested and questions not asked when working with someone who mirrors your perspectives. Collaborating with a colleague who does not share your beliefs and values is more challenging — which has both positive and negative implications. For example, if you are collaborating with someone whose focus is helping students make personal meaning from Tanach, and your focus is the development of textual skills, it is more difficult at first to understand each other’s work. Nonetheless, the challenge of being understood by someone who is different also encourages you to dig deeper, think harder and examine questions you might not otherwise consider. The metaphor of a microscope points to the details that become visible and open for examination when you collaborate with someone who holds different assumptions. Research shows that unlike pairs produce new thinking that is stronger, richer and more innovative. In the case of teacher collaboration, the result of collaborating with more diverse colleagues can be the ability to successfully reach more diverse students. I developed and then piloted this Setting the Table for Collaboration Tool at the Pardes Tanach Conference. The tool engages teachers in exploring assumptions about working with colleagues who have different perspectives. It could be used in schools at the beginning of a collaboration as part of a conversation about norms. Taking the time to discuss and agree upon norms can establish an environment and culture that is safe, respectful and welcoming to all perspectives. The result of fostering a rigorous and productive collaboration culture is sure to maximize the learning outcomes for teachers and students alike. Please click here to download the Setting the Table for Collaboration Tool along with instructions for how to use it. Find yourself a collaborative partner and give it a try. Feel free to share the experience and tools with others. Read more about norm development from the National Staff Development Council. I am grateful to the Pardes Center for Jewish Educators, authors of the article, Lauren Applebaum and Sivan Zakai, Prizmah‘s Hayedion, and Suri Jacknis of The Jewish Education Project. *While there is much to say about collaboration with and between students, that was not the focus of this series of sessions. The DSLTI (Day School Leadership Training Institute) part-time network weaver, Jane Taubenfeld Cohen, became aware of several alumni who had a common need. They had previously served as heads only of high schools but would be starting at the helm of K-8 schools, and were concerned about their ability to lead instruction without background in emerging language and literacy in young children. 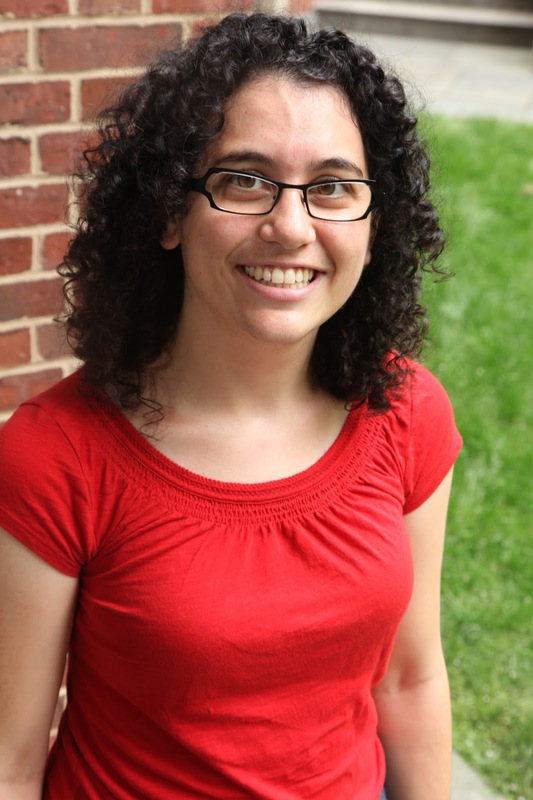 She turned to early childhood educator Anna Hartman for advice, and out through the DSLTI listserv zoomed an invitation to a series of webinars on early and emerging literacy in Judaic and general studies for leaders moving from high school to elementary school. Five people responded, “This is just what I need right now!” They generated a flurry of 37 emails in one night, discussing, How should we organize the webinars? When should we meet? How will we let others we might have missed know our plan? They designed a series of three small-group webinars to be publicized through Facebook and Twitter and held in August, and a follow-up discussion to assess further need and decide on next steps. “It was contagious. You would think they had just won the lottery. We understood their need and responded quickly. We also didn’t overdesign up front; we brought them in to make the content and structure their own,” Jane reflected on this project. This all was able to happen because the people involved recognized the possibilities that emerge from working with a network. A social network is a collection of individuals and the connections that exist between them. The more connections there are, the more potential that exists for those in the network to become more effective in their jobs, be it fostering communication, spreading ideas, bringing in resources, getting work done, or influencing others. In Jewish education, like general education, teachers often face isolation in their classrooms. Yet the enormous, rapid change happening in education today means that educators and administrators need to develop new skills and strategies, and they can’t do that alone. Indeed, research affirms the importance of educators learning from each other. While there is some vulnerability in sharing curriculum and ideas, there’s also enormous power to strengthen the Jewish educational experience through connecting with and supporting each other. In a Jewish day school, this could look like teachers seeking to connect with other teachers to find and share new classroom resources; directors of admissions looking to reach new families and increase enrollment; and school administrators wanting opportunities for professional development. In some networks, someone steps up to volunteer to be a network weaver. In other networks, an organization may pay or assign someone to be the primary network weaver such as the coordinator of a community of practice or professional learning network. Yet the more people involved in weaving the network, the stronger the network becomes, and the more resources, ideas, and projects the network comes to embrace. The idea of weaving networks is not new; many of us naturally operate in and weave networks as part of our day-to-day life. Yet we are not always as deliberate in this as we could be, especially now that best practices are emerging through academic research in social network theory. Each of us can be proactive as a network weaver for the networks we care about. Are you ready to be a network weaver? Here are some first steps you can take. The first step in strengthening your network is getting to know the people in your network. Look around you. Start in your physical school building or office, and also look virtually at people you know in different schools and communities, whether through virtual or in-person connections. What are their interests, strengths, challenges, and resources they use from which you may be able to learn and benefit? In most cases, asking people about their work or expertise makes them feel valued, and most people like to be recognized for as having expertise and being able to provide helpful information. Once you know about what information someone would be happy to share with you, you will know you can turn to them for help in specific areas in the future, and they may contact you in areas of your expertise, or because you have positioned yourself as someone “in the know,” in contact with different parts of the network. Best of all, you will then be able to suggest ways to connect to create productive synergies. But all of this requires an investment in getting to know people before you can begin to reap the rewards of the network. How can you learn about those in your network? Meet at a coffee shop: For people who are local, take advantage of your geographic proximity. While online communication is revolutionary, it has not overthrown the fundamental benefit of human in-person connection. Meeting in person helps each party gain a more complex and holistic understanding of the other—and a coffee shop (rather than at your school or organization) is a comfortable “third place” which can provide a good environment in which to really get to know someone. Interview those in your network: If you have a professional role as a network weaver, plan a formal interview with members of your network. Asking someone questions about themselves and their work is always the best way to get to know someone. Even more, consider documenting their answers. At minimum, you will have a record of the conversation which can be referred to later. If the interview produces information you find useful or interesting, it can also be shared publicly. Recording the conversation adds a layer of formality and purpose to the meeting and also gives it a concretely productive goal. Below are questions from that can be used in a conversation. Exploration/expression of interest (getting the lay of the land): What have you been working on recently? This week? Today? What are your top priorities at the moment? Probe for successes and challenges (be sure to learn about both): How is it going? Anything really exciting / successful / fulfilling / surprising? Where are you stuck? Offer of support: Is there anything I or other members of the community can do to help you better realize your goal? What do you think would help you get unstuck (skills, resources)? What special talents or passions do you have that you might be willing to share with your peers? Network-weaving goes beyond simply making connections, or “networking.” The next step in weaving a network is to actually form productive working relationships. Weaving can be done through thinking about whose skills you have identified in a particular area could be useful to someone else, and introducing them to each other. Then collaborations can develop, starting with small projects and growing to strengthen the community and increase the knowledge available in it. Questions for weaving the network: How can we share your success with others? Whom do we know who can be of help to you? While establishing collaborations, it is important for a network weaver to foster a culture that values complex reciprocity: sharing information and resources with others without expecting a return from that person, because you know others will share with you. Another teacher posted an example of a homework assignment given to a class, and thanks to the use of technology, teachers in another school saw it and reported it started a “homework revolution” among their teachers. This is how helpful ideas are spread. When you are working hard on specific projects or within the context of a school or organization, it is very easy for the conversations and ideas sharing to be concentrated in colleagues directly involved with those projects or groups. Yet it is critically important to maintain and cultivate relationships with those outside of this immediate group—known as your periphery. The periphery has fresh perspectives which will bring new ideas and innovation into your work. Even when those views at times conflict your own, exposing yourself to them is important, will help you grow, and benefits the network as a whole. Ask yourself: Who can I connect to this network who has some parallel but not many overlapping interests? Perhaps a non-Jewish educator or someone from a different school? Their questions and perspectives will help you get out of your own limitations, discover your blind spots and likely solve your problem more quickly and easily. Traditionally, leadership has been appointed through titles and positions. But new trends in technology, communication, and theories of distributed leadership have empowered individuals to exercise grassroots leadership, regardless of their technical position. With network leadership like other forms of leadership, there is always a temptation to practice it by yourself. But it is actually part of a network weaver’s role to set the culture of the network, including the expectation that all will take responsibility to build the relationships that will strengthen a network supportive of learning and work. As an indirect leader, the weaver identifies, mentors, and influences new emergent leaders appearing throughout the community who will eventually take over much of the network building and maintenance. This transition is necessary for the network to increase its scale, impact and reach. We hope these steps will lead you on a journey of network weaving which will not only increase your productivity, access to resources, and professional growth, but also will expose you to new perspectives you may not have found otherwise and new fulfilling relationships that will add value to your life on both personal and professional levels. Deborah Fishman is the director of communications at The AVI CHAI Foundation. She can be reached at dfishman@avichaina.org. Naava Frank EdD is the director of continuing education and professional development at the Institute for University School Partnership at Yeshiva University. She can be reached at nfrank1@yu.edu. A major part of network weaving is connecting people. But before you type in two email addresses and press “send,” be aware that there are many ways of forging those connections. Are you using the most appropriate mode for your context? Are you just encouraging schmoozing, or truly facilitating productive collaboration? Here’s a table to help you be a strategic network weaver.